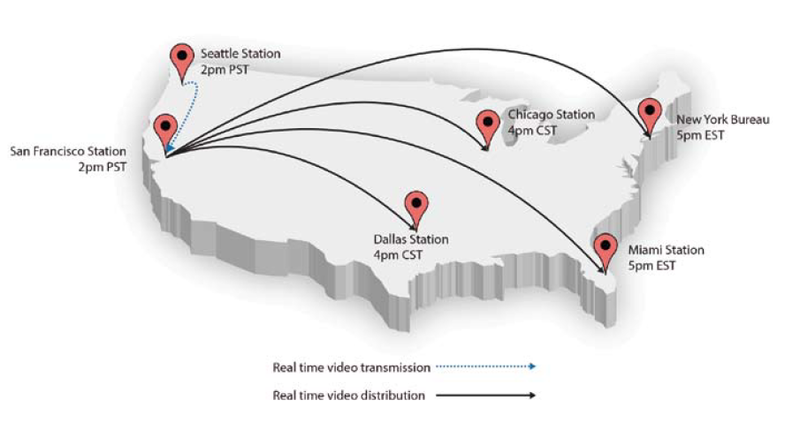 IP has opened new doors for broadcasters looking to manage and distribute video content between locations in a cost-effective manner. With TVU Grid, broadcasters can route, switch and distribute live video content from any SDI or HD source over IP to any location. TVU Grid is a powerful, simple and scalable IP-video switching, routing and distribution solution that gives broadcasters the ability to share live video feeds between multiple locations anywhere in the world with low latency. Using your own IP networks and broadcast infrastructure, TVU Grid enables any size broadcast group to switch and route video content from any location and distribute it to any number of other locations almost instantly. The simple-to-use interface gives operators control over switching and routing of video streams from anywhere on the Grid network. With TVU Grid, broadcasters can input an unlimited number of video feeds and switch between them on the fly. As a result, broadcast stations can switch to any content from anywhere on the Grid network without the use of a converter, dramatically increasing the number of video feeds accessible to the broadcast station. TVU Grid delivers frame-accurate switching between different IP-based transmission video streams with no disruption of the video. 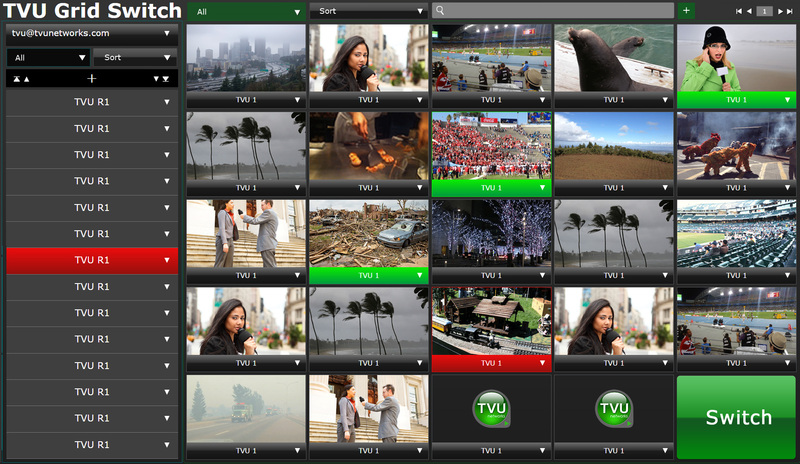 With TVU Grid, broadcasters can transition between live video feeds from different locations without any interruption. The future belongs to IP, and TVU Grid helps broadcasters accelerate their path to an IP-based video workflow. With TVU Grid, broadcasters can streamline legacy equipment with inflexible and incompatible proprietary formats, and share news, stories, promos and other graphics without regard to distance or location. TVU Grid enables broadcasters to manage multiple video streams simultaneously, and export the streams to any destination. With TVU Grid, broadcasters can encode content to multiple formats, enabling easy distribution of multiscreen video content. With TVU Grid, you can share all content in HD. TVUPack Cloud allows for transmission routing without the need for a hardware receiver. The transmission from TVU transmitters is passed through TVU’s virtual Cloud server along to any standard CDN service. The live video can then be shared with viewers. TVU offers a number of powerful cloud-based encoding, switching and distribution solutions that deliver increased flexibility to broadcasters. With TVU’s cloud-based encoding, decoding and distribution solutions, broadcasters can expand their IP video capabilities without the need for additional equipment.